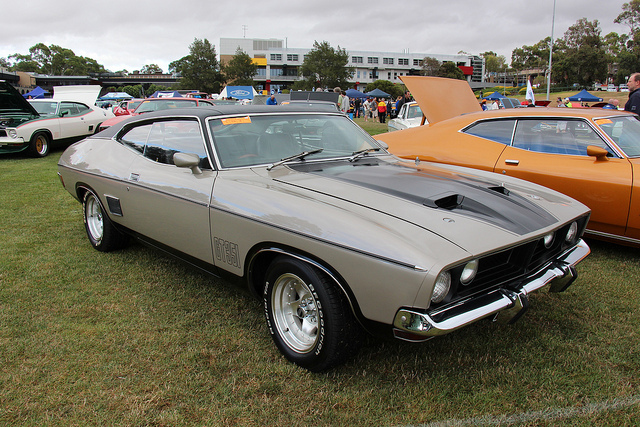 The Ford Falcon (XB) is a full-size car that was produced by Ford Australia from 1973 to 1976. It was the second iteration of the third generation of this Australian-made model and also included the Ford Fairmont (XB) — the luxury-oriented version of the Falcon. The Ford Falcon is a full-size car which has been manufactured by the Ford Motor Company of Australia since 1960. From the XA series of 1972 onward, each Falcon and range of derivates have been designed, developed, and built in Australia, following the phasing out of the American-influenced Falcon of 1960 to 1971, which had been re-engineered locally as the XK to XY series for the harsher Australian conditions. The luxury-oriented Ford Fairmont model joined the range from 1975. Luxury long-wheelbase derivative versions called the Ford Fairlane and LTD arrived in 1967 and 1973, respectively. A Grand Sport Rally Pack option, which included bonnet scoops, striping, GS insignia and “GT” instrumentation, was available on Falcon 500, Futura and Fairmont models. Among the limited edition variants of the XB was the John Goss Special, released in 1975 and named for the race driver who took a Falcon to victory in the 1974 Hardie-Ferodo 1000 Touring Car race at Bathurst. These specials were based on the Falcon 500 Hardtop, with decals and other bolt on options, such as the GT Bonnet. They were available in White with a choice of two accent colors: Emerald Fire and Apollo Blue. Production of the XB series totalled 211,971 vehicles. Allan Moffat won the 1974 Sandown 250 driving an XB Falcon GT Hardtop. He also won the 1976 Australian Touring Car Championship driving an XB Falcon GT Hardtop and drove both an XB Falcon GT Hardtop and an XC Falcon GS Hardtop to win the 1977 Australian Touring Car Championship. 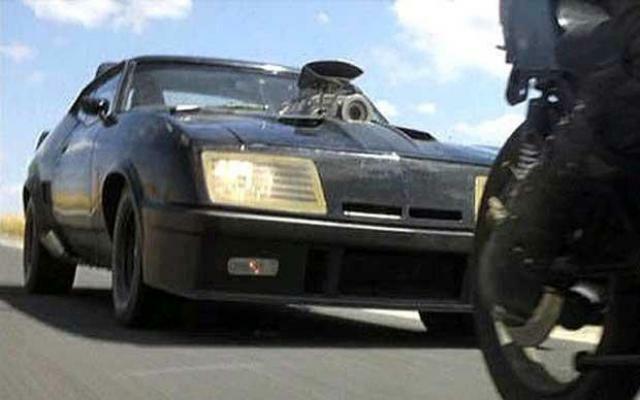 In the 1979 film Mad Max, the title character’s black Pursuit Special was a 351 cu in (5.8 L) version of a 1973 Ford XB GT Falcon Hardtop. Two 1974 XB sedans were also used as Main Force Patrol Interceptor vehicles. 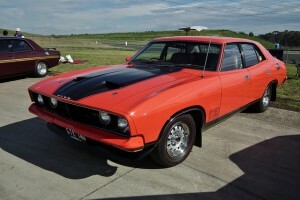 A 1974 Ford XB Falcon GT Hardtop is the subject of Eric Bana’s 2009 documentary film Love the Beast. The film documents the 25-year history of Bana’s XB Falcon, which he purchased at the age of 15. 1992 Batmissle as known as "Bat Rocket"